With a maximum duty cycle of 5,000 impressions per month, the HP PSC 1510v is designed for heavy-use requirements. A versatile device, the HP PSC 1510v supports stand alone printing, scanning, and copying, and features PictBridge connectivity, in addition to the standard USB interface. It does not support networking, though. Resembling PSC 1500s, the HP PSC 1510v features a flat bed scanner on top and a removable lid for scanning thick books. To the left of the top panel are the control buttons for printing and adjusting scanning and copying preferences. The paper tray folds down to reveal an extendible section, to the left of which are the control buttons and the PictBridge port. The HP PSC 1510v uses one black and one tri-colour ink tank. 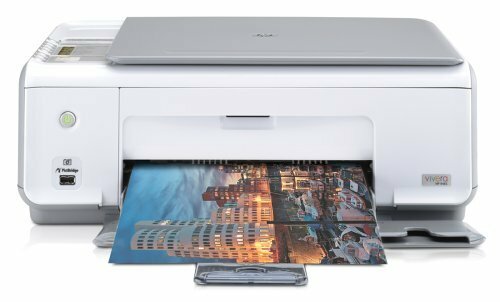 The HP PSC 1510v boasts impressive print resolutions, of up to 4800x1200dpi (max). The copier features digital zoom and 'fit to page' capabilities. Scanned documents can also be converted to editable text. The HP PSC 1510v, however, does not have additional connectivity options other than standard USB and the PictBridge port. An Ethernet interface for wired networking would have been useful, along with other additions like ADF, Fax feature, or at least an auto duplexer.